SEOUL, Jan. 23 (Xinhua) -- South Korea's weather agency and environment ministry planned to conduct an artificial rain experiment in the country's western waters later this week to see the effect on reducing fine dust, Yonhap news agency reported on Wednesday. The experiment would be carried out on Friday in the southwestern Gyeonggi province and its adjacent waters off the west coast by mobilizing a meteorological aircraft. 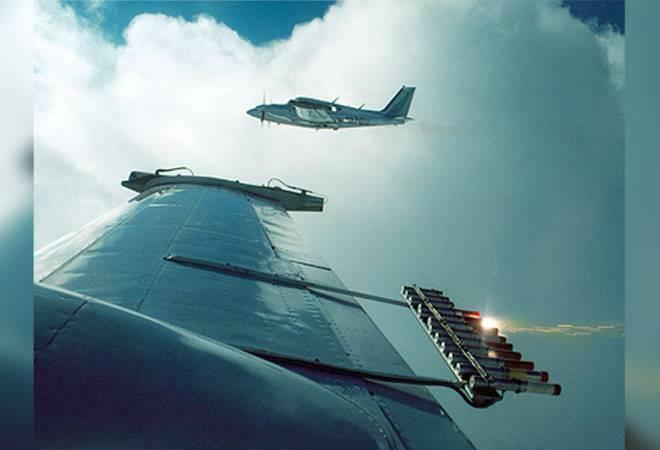 The aircraft would disperse silver iodide into the clouds to artificially create precipitation in the areas. With weather satellite and radar, a possible change in the density of fine dust would be observed. The country was scheduled to conduct the critical rain experiment about 15 times this year, according to Yonhap. The effect of the artificial precipitation on reducing fine dust had yet to be known. South Korean President Moon Jae-in instructed officials at the cabinet meeting on Tuesday to come up with additional measures to reduce fine dust, including the reduction of diesel vehicles and the increase of environmentally-friendly cars, the expanded suspension of coal-powered thermal power plants, the artificial rain and the installation of dust collector.